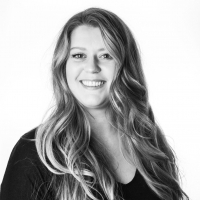 This is Sonja Shaw, she is our newest graduate stylist. She is a recently graduated from NWCC in June of 2018. Since starting at Butter Hair & Co she has taken two Davines colour classes as well as four weeks of one on one training with Andrea, one our senior stylists. She is creative and amazing. She charges junior stylist rates and takes a bit longer with the services then our seniors so make sure you have enough time when booking.